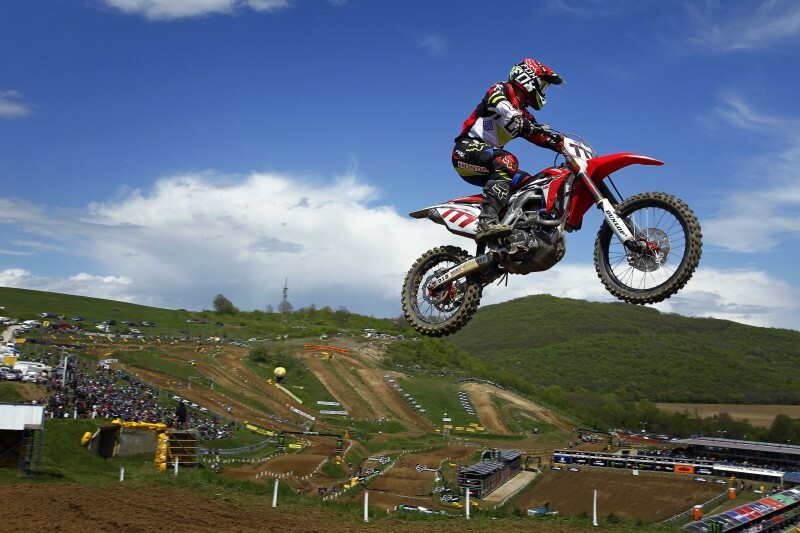 Team HRC head to Valkenswaard, Netherlands, this weekend for round six of the FIM Motocross World Championship, and the first in a back-to-back pairing of European races. The sandy surface of Valkenswaard will welcome the MXGP contingent on 3-4 May, where a reduced-strength Team HRC will field just Evgeny Bobryshev. Conspicuous by his absence will be Max Nagl, the qualifying race winner last time out in Bulgaria, who was involved in a multi-rider crash during testing in Holland last week. 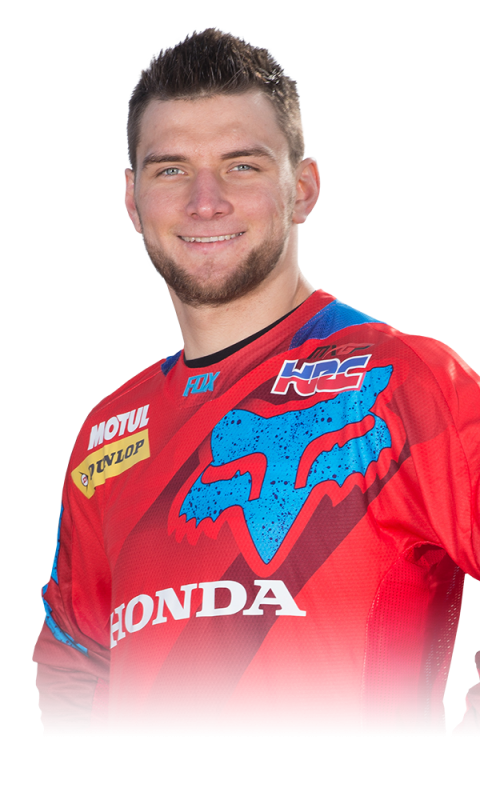 Nagl broke the scaphoid in his right hand and suffered a slight metacarpal fracture in his left during the incident and is expected to be sidelined until mid-June. Bobryshev is continuing his strong recovery since the back injury he sustained in the MXGP of Trentino and will be feeling stronger by the Grand Prix at which he took a second place finish and was third overall last year. 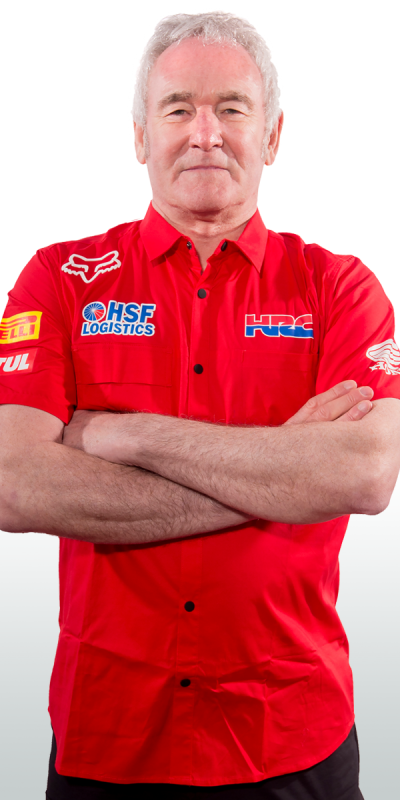 Team HRC come to the Grand Prix also feeling stronger still, following another successful test with the CRF450RW earlier this week in Germany. All Honda-supported teams across the series’ categories were also present as Honda strives to provide maximal support to them all. A mixture of showers and sunny spells with temperatures nudging 20 degrees Celsius are expected, although heavy rain on an already demanding track could place a premium on fitness and strength in tricky racing conditions. "Valkenswaard is one of my favourite tracks, and it’s also really near my house which is nice! I like sand tracks, and we had good results here last year. I feel much better in my back and ankle and have been able to get back on my fitness programme again and make some good preparation for this weekend. This is important for me as for the last GPs I couldn’t train properly, but now I am 100% back into my training again. It’s also a good feeling to be testing again with Team HRC. It’s always good to find a step-up during the season, and really quickly we can find improvements during these tests so it’s a very good way of working and means we are feeling confident." "Going into this weekend Bobby’s been able to train a lot again and get back to his usual schedule so he’ll be a lot fitter for Valkenswaard than he was in Bulgaria. The track isn’t as deep sand as it used to be and is now more hard-pack so it can be slippery when it’s cold, but it’s a track Bobby likes and ran well at last year. We’ve also just completed another good two days of testing on sand with the other Honda teams too, so we should be well-placed to attack this weekend. Max is recovering from the testing crash he was involved in last week and has now had the operation on his scaphoid, so clearly won’t be racing this weekend. We’re not pushing him to rush back, it’s more about when he feels comfortable on the bike again."